Vintage sterling flatware is identified by hallmarks, maker's marks, patterns and pure silver content. Sterling silver flatware made in the United States after 1906 is easy to identify, as it is stamped with a hallmark. Older or foreign vintage sterling flatware may not be hallmarked, but it may be identified by maker's marks and patterns. If all these methods fail or you want to verify the silver content of your flatware, have it tested. Look for a hallmark on the backside of your piece of flatware with the magnifying glass. A hallmark is a stamp or engraving indicating the quality of the metal per the country of origin's standards. American-made flatware after the year 1906 will be stamped "925/1000," "925" or "sterling." This indicates that the flatware is made using 92.5 percent pure silver, the minimum amount required in the United States for an item to be called "sterling." Once you have identified this mark, you have identified your flatware piece as sterling silver. If you see a different number than "925" or "925/1000," this may mean that your flatware was made in a different country that has different standards for what is considered sterling silver. If your flatware does not have a hallmark, it does not mean it is not sterling, it just means you have to do a little more research. Look for a maker's mark on the backside of your piece of flatware. A maker's mark is a name and/or symbol identifying the maker of the flatware. It may be a company name, such as "Wallace," or a symbol, like a crown. Once you have identified this mark, take a digital photo of it. Photograph the pattern on the handle of your flatware. The maker of vintage sterling flatware can often be determined by the pattern. Research the maker's mark and/or the hallmark and the pattern. 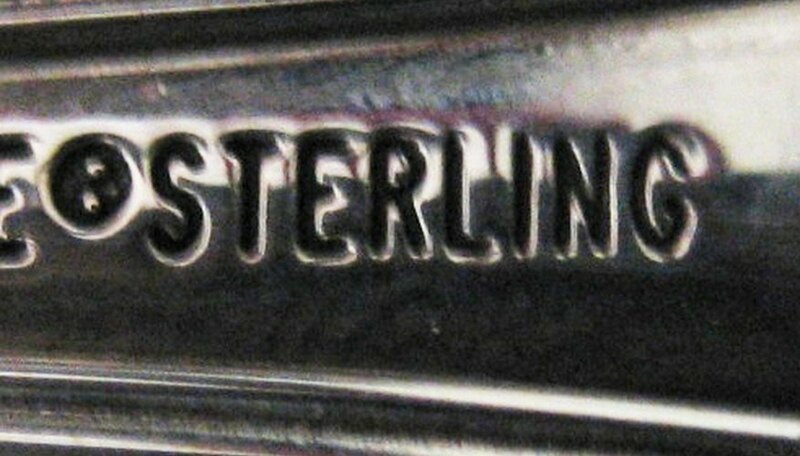 Look at online databases containing maker's marks, hallmarks and patterns for vintage sterling flatware. Post your pictures to sterling flatware discussion boards and see if someone recognizes the pattern or marks. Take a piece of your flatware to a local antique store and see if someone there can help you identify where it came from. 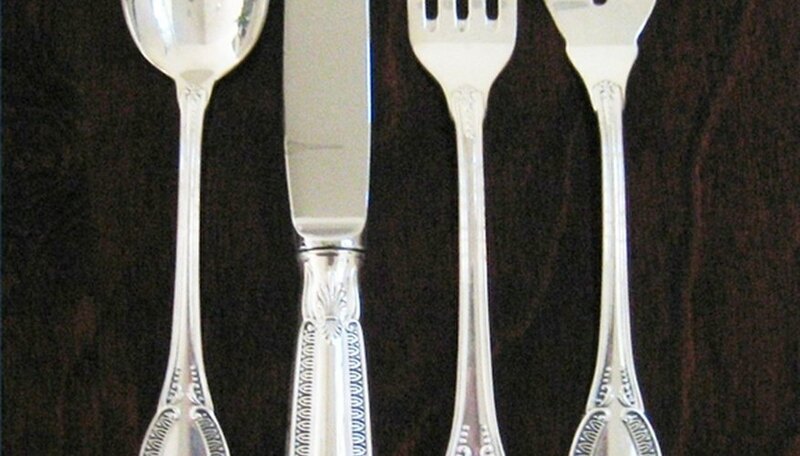 Test your flatware if you still can't identify it. This is the final step and should only be taken when all the above methods have failed or you have reason to believe you are dealing with a forgery, as testing will damage your flatware. Contact an antiques dealer and have them recommend a reputable source to execute the testing. A piece of your flatware will be melted down and the contents analyzed. This will tell you how much pure silver is in the flatware and whether or not it's sterling. Manipulate the brightness and contrast on your uploaded photos. The marks and patterns often become more legible. Acid testing kits are sold that claim to identify sterling silver. However, the results are difficult to read and they won't tell you the precise amount of silver your flatware contains, so you still won't be certain it is sterling. Acid tests also fail to detect silver plate flatware. This type of flatware consists of a layer of sterling silver applied over a less expensive metal core. If you test the surface of this type of flatware with acid it will indicate sterling silver, but it is not.